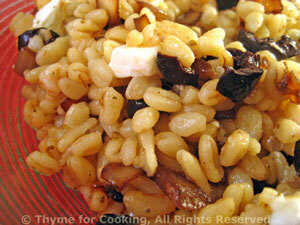 Barley with Feta, Shallots and Greek Olives, Thyme for Cooking gourmet side dish. Heat oil in a medium skillet over medium heat. Add shallots and sauté until tender and starting to brown.